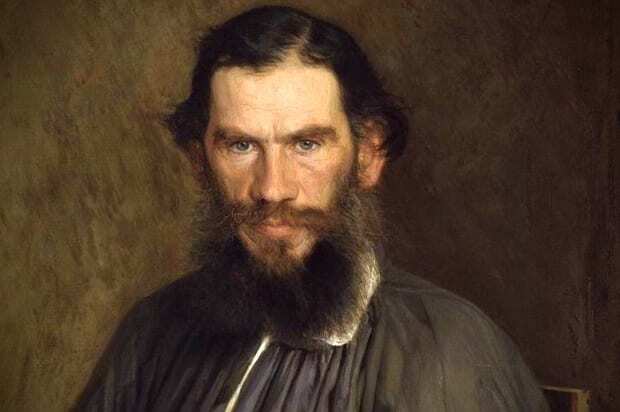 Count Lev Nikolayevich Tolstoy was a Russian novelist. There is a large degree of consensus that his two great novels, War and Peace and Anna Karenina stand on the summit of realist fiction. He has been mentioned again and again as the greatest novelist who ever wrote, and so he wins a place in this list of great writers. He is one of the two giants of Russian literature. The other giant, Dostoyevsky, spoke of him as the greatest of all living novelists. War and Peace is generally considered to be one of the greatest – if not the greatest – novels ever written. Its dramatic breadth and unity is breathtaking. It is a huge canvas that includes 580 characters, some historical, like Napoleon and Alexander I of Russia, and others fictional. The story is set in the homes of families, the camp of Napoleon, the Russian royal court and the battlefields of Austerlitz and Borodino. The novel explores the insignificance of individuals such as Napoleon and Alexander. Tolstoy attempts in his novels realistically to depict the Russian society in which he lived and he draws from all its sectors. The Cossacks describes Cossack life in a story of a Russian aristocrat who falls in love with a Cossack girl. Anna Karenina is the story of an adulterous woman trapped by the conventions and falsities of society and of a philosophical landowner who works alongside the peasants in the fields and seeks to transform their lives. It goes without saying that Toystoy’s influence on subsequent writers has been immense. Apart from that, though, he has even influenced the course of history. In 1908, he wrote A Letter to a Hindu outlining his belief in non-violence as a means for India to gain independence from British colonial rule. Gandhi read a copy of the letter when he was working as a lawyer in South Africa and just becoming an activist. Tolstoy’s letter was most significant for him. He wrote Tolstoy and that led to further correspondence between them. It was Tolstoy’s influence that led to Gandhi to espouse nonviolent resistance, the approach that won independence for India.